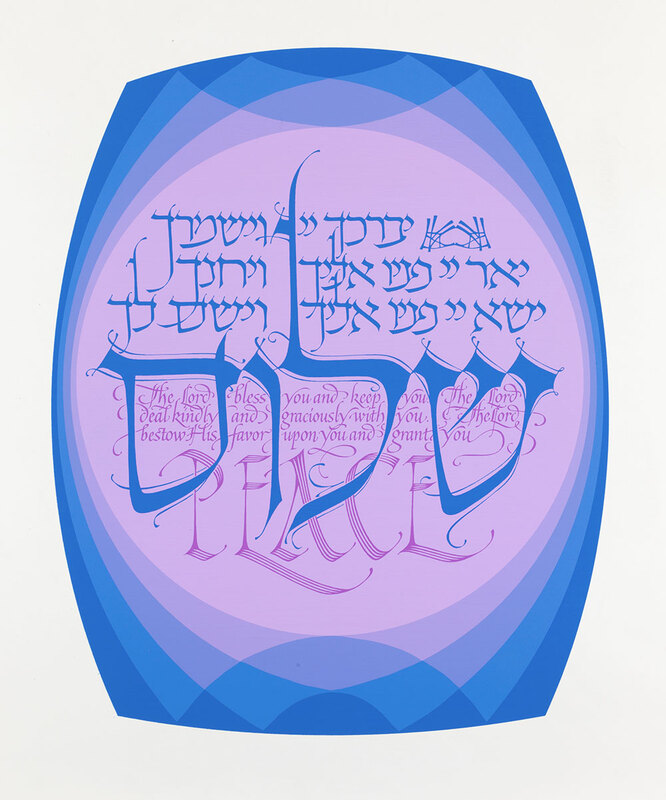 A silk screen poster, designed in 1976 for part of a fundraiser for the Brotherhood Synagogue on Gramercy Park South in New York. The text is Numbers:VI:24-26. Printed on Rives paper, the sheet measures 20 (wide) x 18 inches inches. The image itself is approximately 10.75 x 13.25 inches. the Lord deal kindly and gracioiusly with you.